← Controversial Florida Ave Development Project before BZA Tomorrow! 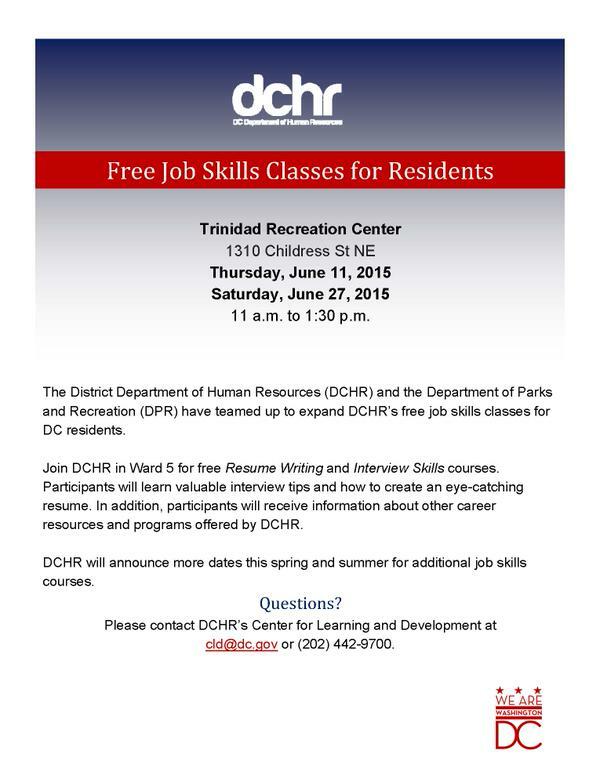 DC Department of Human Resources is offering a series of free job skills workshops this month to help residents with resume writing and interview skills. Please direct any questions to cdl@dc.gov. Posted on June 9, 2015, in Uncategorized and tagged Community Resources, Trinidad Rec Center. Bookmark the permalink. Leave a comment.